Despite new cases of rabies still being detected and confirmed in Sarawak, the federal Veterinary department has stopped sending veterinary officers to help in vaccination due to budget constraint. 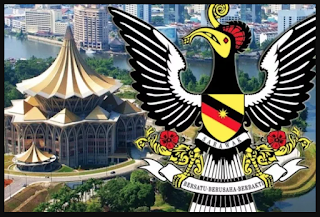 He said the situation was brought up to the Minister of Agriculture and Agrobased Industry, Salahuddin Ayub who came to visit Sarawak’s Chief Minister, Datuk Patinggi Abang Johari Tun Openg on July 6. However no action had been taken. Uggah also revealed it was also brought up during a Disaster Management and Relief Committee meeting attended by the director general of Malaysia national disaster management (Nadma), Datuk Dr Ahmad Jailani Muhamed Yunus. KUCHING: Despite new cases of rabies still being detected and confirmed in Sarawak, the federal Veterinary department has stopped sending veterinary officers to help in vaccination due to budget constraint. “It is very sad, federal veterinary department having difficulty to assist us in our efforts to make Sarawak rabies free area and we appeal to them to review their stand,” Deputy Chief Minister and chairman of Sarawak Disaster Management Committee Datuk Amar Douglas Uggah Embas told thesundaypost. “We also raised this matter during our state disaster management committee meeting attended by new Nadma director general, so far no response from them,” Uggah commented. Meanwhile, director of Department of Veterinary Services Sarawak (DVS), Dr Adrian Susin Ambud revealed normally their federal counterparts would send four doctors each month, but it has stopped since May. “They said the expenditure to send the doctors to Sarawak is no longer within their means due to budget cut,” Dr Adrian revealed. “They said the budget cut affects them very much. They don’t have money to pay for the air ticket although we are paying for their accommodation,” Dr Adrian added. When asked on the latest development, Dr Adrian said the latest report on eight samples sent to Veterinary Research Institute (VRI) in Ipoh found four of the samples to be rabies positive. “The positive cases involved a pet dog from Kampung Sungai Agas Baru, mile 12 of Matang Road Kuching that happened on 31 July, a pet cat from Jalan Padungan also on July 31, a stray dog from Lane 6, Hakka Avenue in Kuching and pet dog from Kampung Bumbok, of Jalan Batu Kitang, Kuching. “To date, 177 samples from 166 dogs and 11 cats out of 620 samples submitted were confirmed positive with Rabies virus via FAT and PCR test,” he said. Sarawak launched the second round of Rabies vaccination drive on July 4 as the animals vaccinated last year, are at risk of contracting the disease again especially those being allowed to roam freely and being bitten by the infected animals. To date 71,523 animal have been vaccinated, 63,319 dogs, 8,151 cats and 53 others, Dr Adrian said. Dr Adrian also revealed that three mass anti Rabies vaccination exercise were carried out in Kuching, Sarikei and Miri yesterday. Sarawak in our effort to make Sarawak rabies free area,” he said.